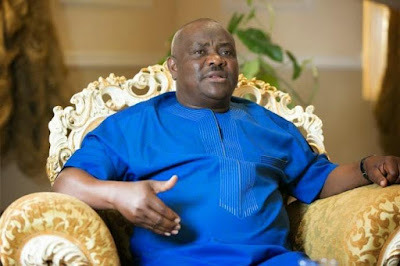 Governor Nyesom Wike of Rivers State, has dismissed all his commissioners, just 24 hours after the Commissioner for Information, Austin Tam-George, resigned from the cabinet. A statement issued Saturday by the governor’s spokesperson, Simeon Nwakaudu, directed the commissioners to hand over to the permanent secretaries in their respective ministries. The statement did not give reasons for the termination of the commissioners' appointments. Governor Wike had earlier sacked his Commissioner for Works, Bathuel Harrison. The governor has now joined the Governor of Imo State, Rochas Okorocha and Governor of Abia state, Okezie Ikpeazu who also dissolved their cabinet this year.